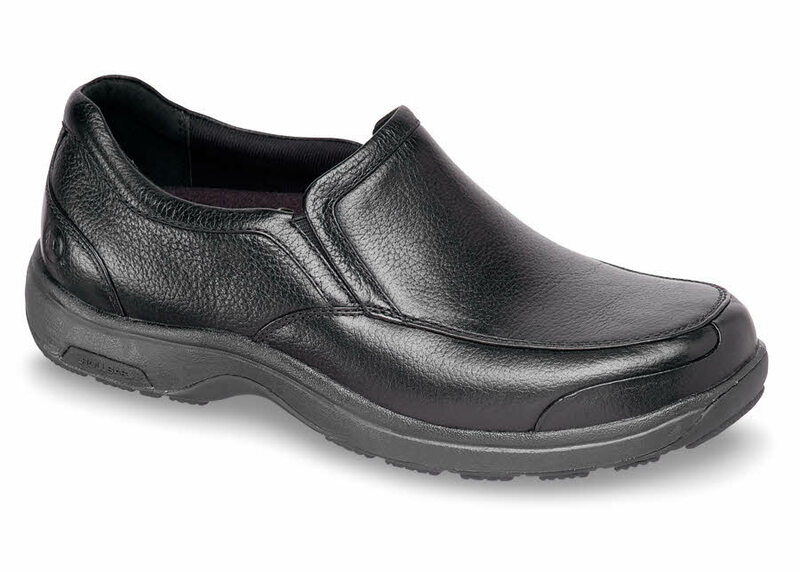 Traditional, comfortable and waterproof, the tech-savvy Dunham 8003BK slip-on is built with stabilizing R-Bar® and athletic-shoe style EVA midsoles for shock absorption. 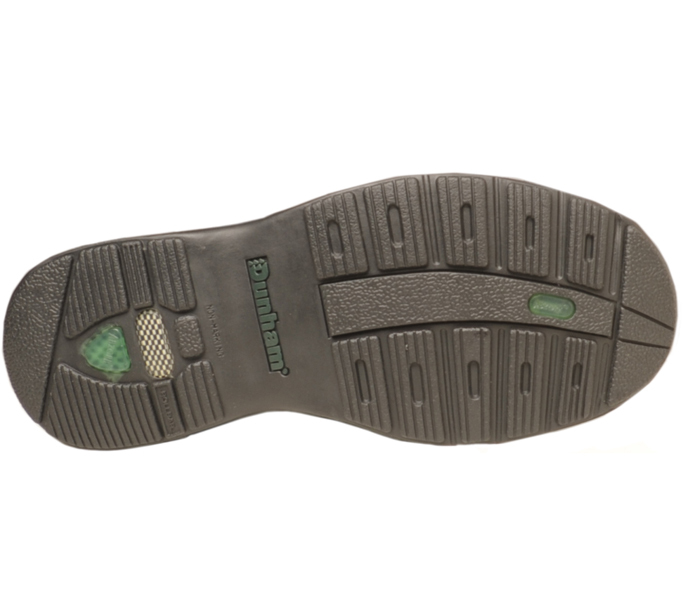 Good-looking, polishable leather uppers have easy-fit elastic side gores. Removable insert. Flexible, lightweight outsoles. Men’s sizes 8–12, 13, 14, 15, 16, 17 and 18 in 4E; 9–12, 13, 14, 15, 16 in 6E.